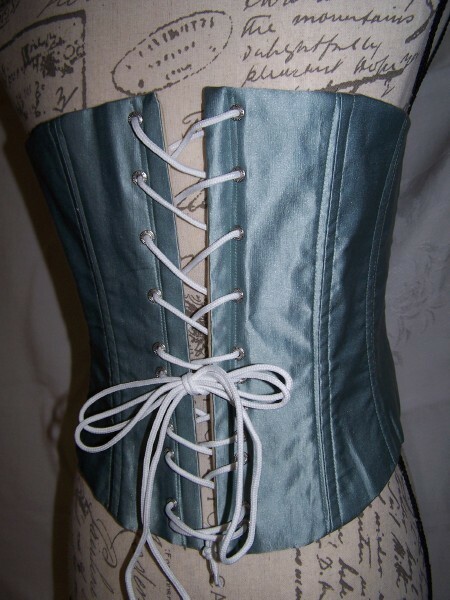 Has mix of both plastic and spiral steel boning. Hand finished. 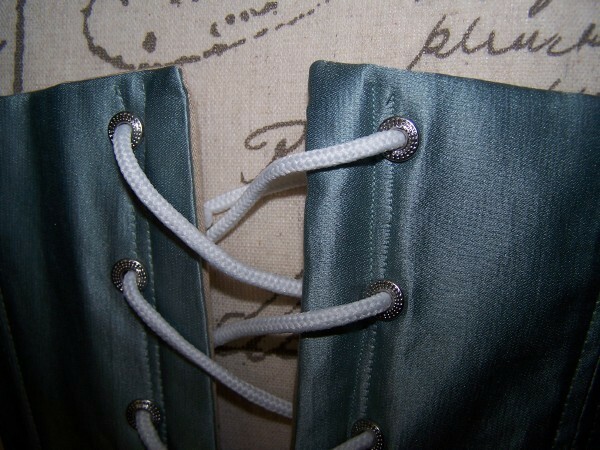 High quality busk and gromets. 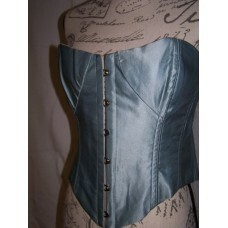 This corset will accomodate bust measurement of 36-40 inches. This is not your bra size at the department store - this is the actual size. 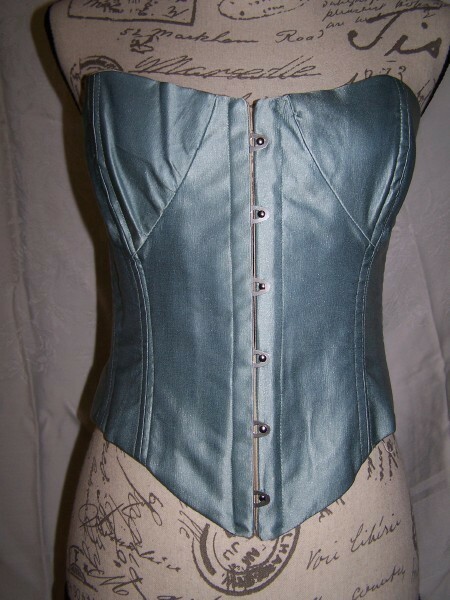 In these pictures, the corset is pinned to fit the form. 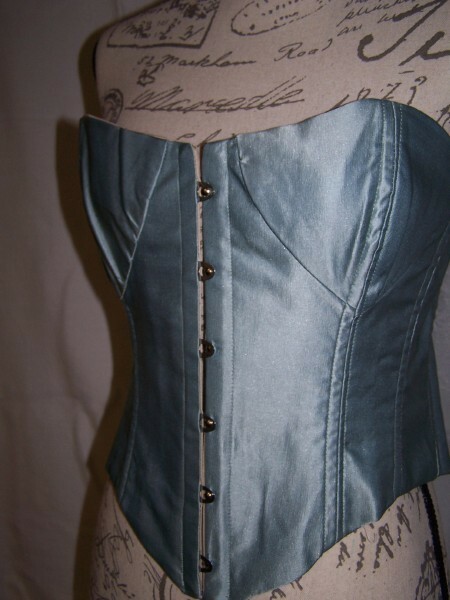 This should fit a size 16-18 woman. If unsure, please email us. See more detailed pictures here!